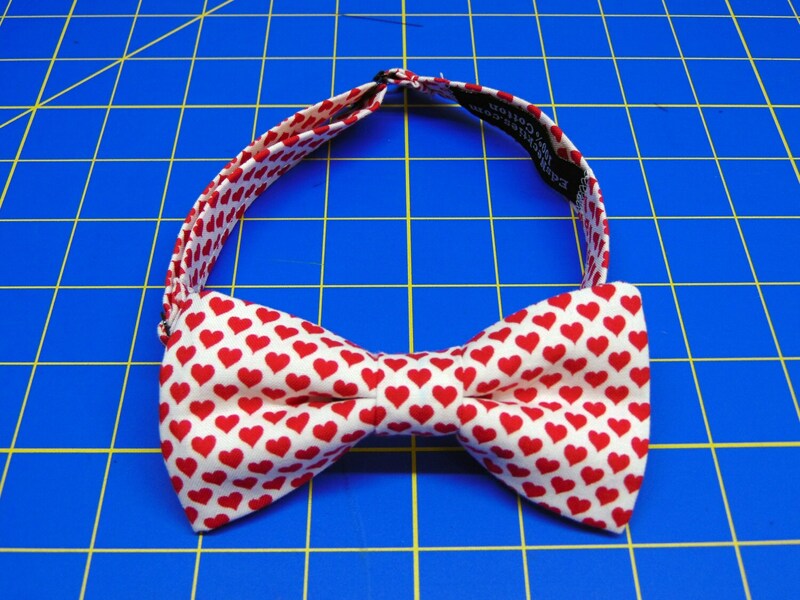 Valentines Bowties – Red Heats Valentines Day Bow Tie for Men or Boys, Also Available Extra Long. 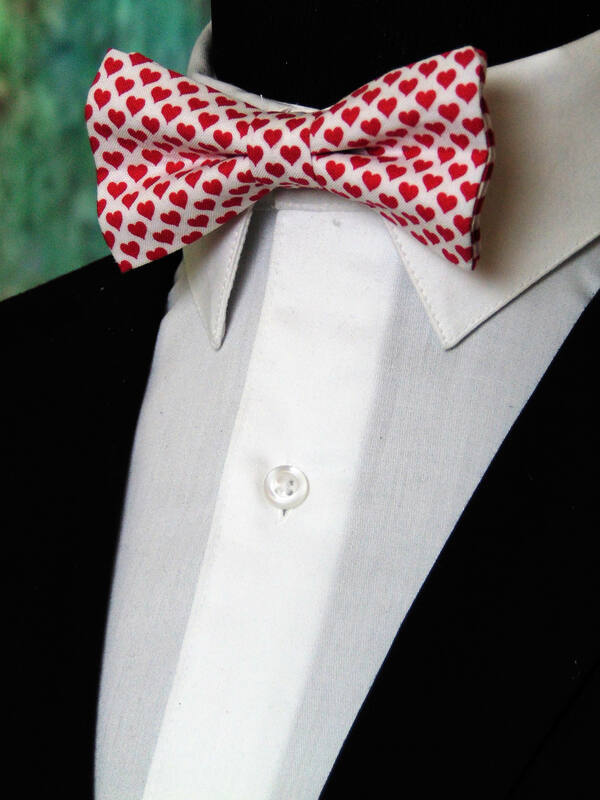 This is the perfect Valentine's bow tie for him. 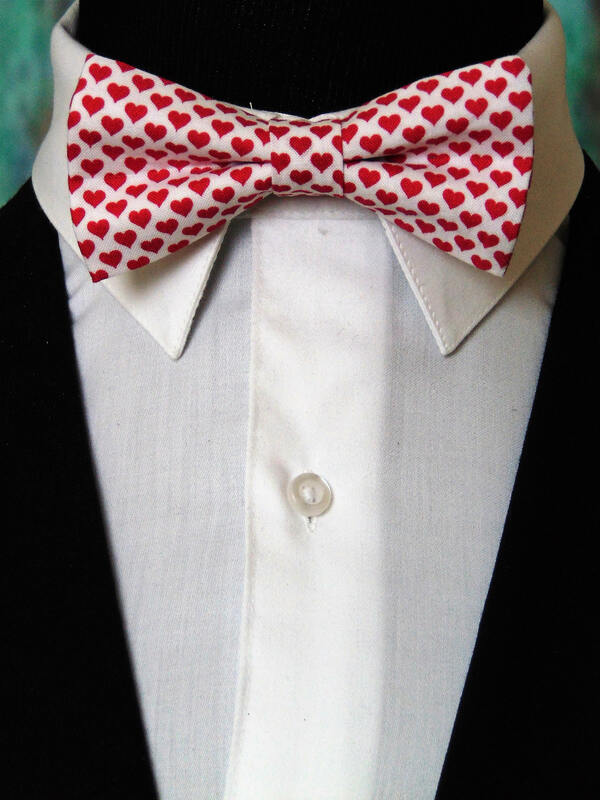 Features a white background with red hearts. Fast shipping. Adorable tie!!! Love it.